Wainwright Tomb, St. Louis | ride. travel. live. 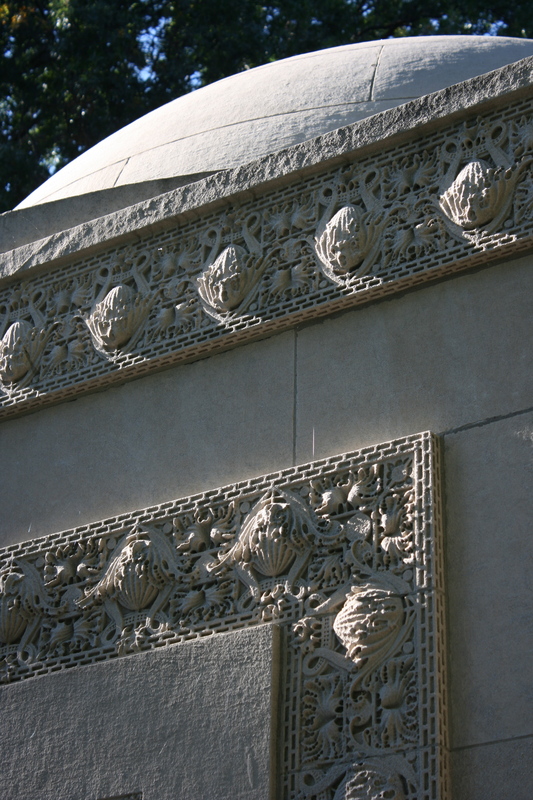 Louis Sullivan designed three tombs, two in Graceland Cemetery in Chicago (and one of his designs went into his own tombstone in Chicago). 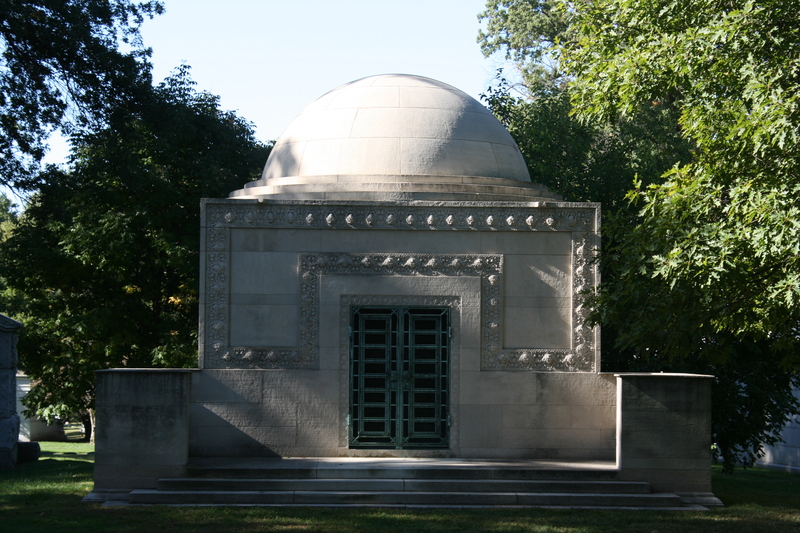 The third, the Wainwright Tomb, is in historic Bellefontaine Cemetery in St. Louis, an oasis of calm in the city’s rather rough north side. Commissioned on the occasion of Ellis Wainwright’s wife’s untimely death, and completed in 1892, the overall plan is a severely simple design, with a small terrace, and the tomb itself, capped with an un-ornamented dome. 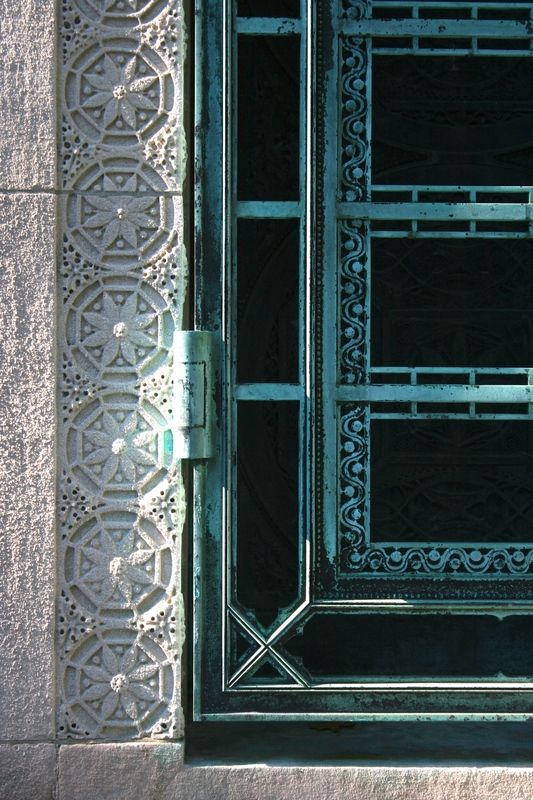 The ornamentation is some of Sullivan’s best. The interior is full of spectacular mosaics and very colorful, but I didn’t get to go inside, as it’s opened only on rare occasions. 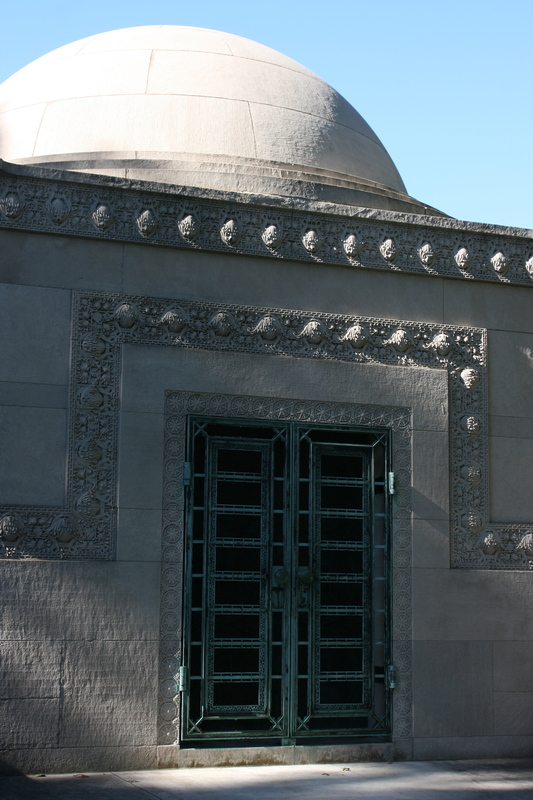 The materials and ornamentation are similar to the Getty Tomb in Chicago, although quite different in overall plan and shape. Outside of Chicago, St. Louis has three designs by Sullivan, with the landmark Wainwright Building downtown, the heavily modified 705 Olive St. Building, and the Wainwright Tomb.